US TV lovers had to say goodbye to many long running series in 2014, like “True Blood,” “How I Met Your Mother” and “Sons of Anarchy.” Now, as 2015 approaches, viewers are set to lose a handful of more shows like “Parks and Recreation” and “Parenthood.” While the loss of some of your favorite characters might be tough, 2015 is set to deliver some new TV shows that could potentially fill that void. “Galavant” is a four-week comedy musical you won’t want to miss. The show features music from “The Little Mermaid’s” Alan Menken and “Tangled’s” Glenn Slater, and follows a prince who wants revenge on a king who “stole his one true love.” You can watch “Galavant” when it premieres on ABC on Sunday, Jan. 4, at 8 p.m. EST. Can’t get enough of the Marvel universe? Well, then you’re in luck. While “Agents of S.H.I.E.L.D.” is on hiatus, “Agent Carter” will be filling in for the few week gap. The series will follow Peggy Carter (Hayley Atwell), the former lover of Captain America, who becomes a S.H.I.E.L.D. agent to help the world. The two-hour premiere of “Agent Carter” will air on ABC on Tuesday, Jan. 6, at 8 p.m. EST. Spike is introducing a brand-new reality competition … that has to do with furniture! Thirteen furniture designers will be battling it out to win a generous cash prize and the chance to launch their own line with a “major furniture brand.” “Framework,” hosted by Common, will premiere on Spike on Tuesday, Jan. 6, at 10 p.m. EST. Terrence Howard (“Iron Man”) stars in this drama about a music empire. 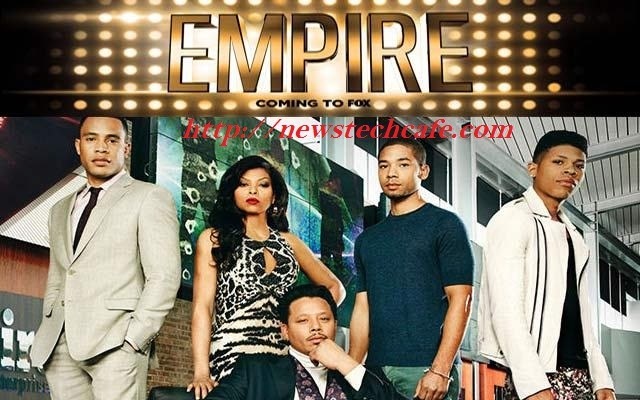 “Empire” will premiere on Fox on Wednesday, Jan. 7, at 9 p.m. EST. “Hindsight” will transport viewers to the ‘90s when a girl names Becca (Laura Ramsey) travels back in time to fix her mistakes before her second wedding in the present. The show will premiere on VH1 on Wednesday, Jan. 7, at 10 p.m. EST. “Togetherness” is a new comedy from HBO. The show follows two couples living under the same roof and will premiere on Sunday, Jan. 11 at 9:30 p.m. EST. Nickelodeon’s Victoria Justice will make her way back to the small screen in “Eye Candy,” a new thriller from MTV. The show is about a “tech genius” who tries online dating and suspects that one of her suitors is a “deadly cyber stalker.” Based on a story by R.L. Stine, the show was adapted by “Twilight” director Cartherine Hardwicke. “Eye Candy” premieres on MTV on Monday, Jan. 12, at 10 p.m. EST. Remember the 1996 “12 Monkeys” movie starring Bruce Willis? Syfy is taking their own spin on the flick with their brand-new hour-long drama. The show is set in present day, but follows a time traveler from the “post-apocalyptic future” who is on a mission to “eradicate the source of a deadly plague that will eventually decimate the human race.” The series premiere of “12 Monkeys” will air on Syfy on Friday, Jan. 16, at 9 p.m. EST. Fans of “The Office” will be happy to welcome Rainn Wilson back to TV. Wilson stars as Everett Backstrom, a self-destructive” Portland detective who works with a batch of “eccentric criminologists.” You can watch the series premiere of “Backstrom” when it airs on Fox on Thursday, Jan. 22 at 9, p.m. EST. An old secret puts a family in a difficult situation in this new drama about the KGB. “Allegiance” will premiere on NBC on Thursday, Feb. 5, at 10 p.m. EST. Get ready for a flashback to the ‘90s. The Huang family gets a “culture shock” when they move from DC’s Chinatown to suburban Orlando in this new comedy. You can watch “Fresh off the Boat” when it premieres on ABC on Tuesday, Feb. 10, at 8 p.m. EST. “The Slap” is a miniseries starring Peter Sarsgaard (“The Killing”), Uma Thurman (“Kill Bill”) and Zachary Quinto (“Heroes”). Secrets between friends and family get unearthed in this drama after a child is slapped at a get-together. The series premiere of “The Slap” will air on NBC on Thursday, Feb. 12, at 8 p.m. EST. “Saturday Night Live” alum Will Forte will bring the laughs as Phil Miller, the last human on Earth in 2022. The series premiere of “The Last Man on Earth” will air on Fox on Sunday, Mar. 1, at 9 p.m. EST. Ryan Phillippe (“Damages”) stars in this new show about a man who becomes a murder suspect after finding the body of his neighbor’s son in the woods. You can watch the series premiere of “Secrets and Lies” when it airs on ABC on Sunday, Mar. 1, at 9 p.m. EST. A crime with “significant racial motives” rattle a community in this upcoming drama. The new show stars Felicity Huffman (“Desperate Housewives”) and Timothy Hutton (“Leverage”). You can watch “American Crime” when it premieres on ABC on Thursday, Mar. 5, at 10 p.m. EST. Elisha Cuthbert and Nick Zano of “Happy Endings” reunite for a new comedy about best friends Lizzy and Luke who decide to have a baby together after failing to start their own families. The catch is that Lizzy is gay, Luke is straight, and Luke married a British girl before Lizzy could tell him that she’s pregnant. The series premiere of “One Big Happy” will air on NBC on Tuesday, Mar. 17, at 9:30 p.m. EST. “A.D.” is a biblical adventure that “begins where The Bible left off.” The series premiere of “A.D.” will air on NBC on Sunday, Apr. 5, at 9 p.m. EST. “Odyssey” is about an “international conspiracy” with three strangers who know “the truth.” The show will premiere on NBC on Sunday, Apr. 5, at 10 p.m. EST. “Wayward Pines” is Fox’s latest “event series.” The show stars Matt Dillon (“You, Me and Dupree”) as a Secret Service Agent who travels to a small Idaho town to investigate the mysterious disappearance of two federal agents. “Wayward Pine” will premiere on Fox on Thursday, May 14, at 9 p.m. EST. 21. “The Whispers” “The Whispers” is a new supernatural series from ABC starring “American Horror Story” actress Lily Rabe. The show is about an alien race who begins to take over Earth by using children. A set premiere date for “The Whispers” in 2015 has yet to be released.